A sermon for the Sixteenth Sunday after Pentecost, September 13, 2015. The lectionary readings are Isaiah 50:4-9a, Psalm 116:1-8, James 3:1-12, and Mark 8:27-38. That article reminded me that while I know the risks of sarcasm and the pain of it going wrong, I don’t always watch my words the way I should. 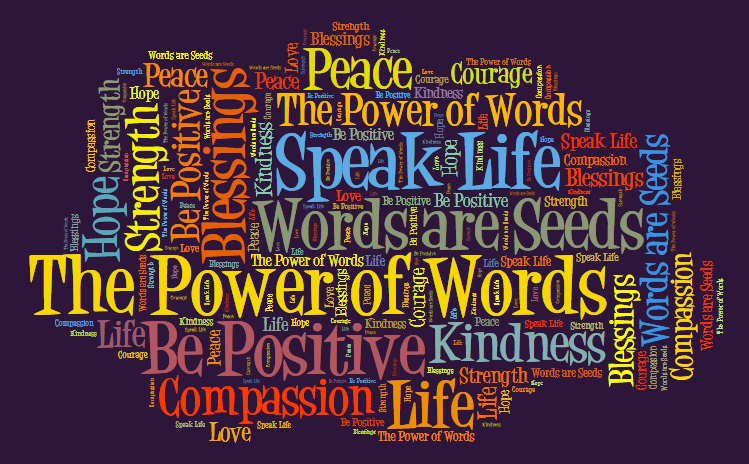 Our scriptures today focus on just that: the importance of words and the words we choose. The old idiom aims to help us be strong when it suggests “sticks and stones may break my bones but words will never hurt me.” And yet, that’s not quite true, is it? Words can and do hurt. We can all probably think of times when we’ve said something that hurt another person and later we’d do just about anything to take those words back. Most of us, also, can probably remember times when words have been used against us and they’ve felt constraining, insulting, or even abusive. In today’s first scripture reading, Isaiah shows a faith we sometimes long for. The speaker in Isaiah “gives his back to those who strike, and doesn’t hide her face from insult or spitting.” She’s NOT disgraced. He’s VINDICATED, because the speaker so fully and completely rests in the care of God. “Who are my adversaries? Let them confront me. [Because when it’s] the Lord GOD who helps me; who [can possibly] declare me guilty?” We hope to have that sort of faith, but in the real world of here and now, words fly. And words wound. Though we may not often think of it this way, sometimes the very best way to “take up our cross” is to hold our tongue. The Letter of James names the dangers of the tongue in ways we probably all understand. The tongue is a fire. The tongue is … a world of iniquity; it stains the whole body, sets on fire the cycle of nature, and is itself set on fire by hell. … no one can tame the tongue– a restless evil, full of deadly poison. With it we bless the Lord and Father, and with it we curse those who are made in the likeness of God. From the same mouth come blessing and cursing. My brothers and sisters, [James concludes] this ought not to be so. We know all this. In our culture, a careless word can get you killed. A careless word (whether a Tweet, a post, or an email) can get you fired, can lose friends, or can lead to divorce. And on the other side, how many millions of dollars are spent in therapy trying to delete a word that feels like it’s written on our hearts with indelible ink—words thrown at us long ago by classmates, siblings, parents, or society itself. And so, we know the problem, but what’s the solution? Isaiah has faith. Jesus says we should take up our cross. And James leaves us hanging: “This,” he says, “ought not to be so.” Well, no kidding, James, (we might say with a touch of sarcasm). But (thankfully) James does keep going in a verse that is just beyond the reading we heard today. “Gentleness born of wisdom.” Isn’t that the goal? Wouldn’t that be a fantastic hope for each day as we get out of bed, “Lord, grant me gentleness born of wisdom.” Every once in a while we come to know such a person who uses words that way. It might be a grandparent with little formal education, or a nurse who’s been educated by long hours in the clinic. It might be a military leader, who through wisdom, has achieved a kind of softness that is disarmingly gentle. Or it might be a child. “Gentleness born of wisdom” is that knack of “sustaining the weary with a word,” as Isaiah puts it. As we move into this new season together, let us take up our cross (in part) by taking care with our words. Let us pray for the “gentleness born of wisdom,” that we would offer the weary words of hope, comfort, and love.